Hello Lovelies!! Today I wanted to have a little fun with necklace layering. 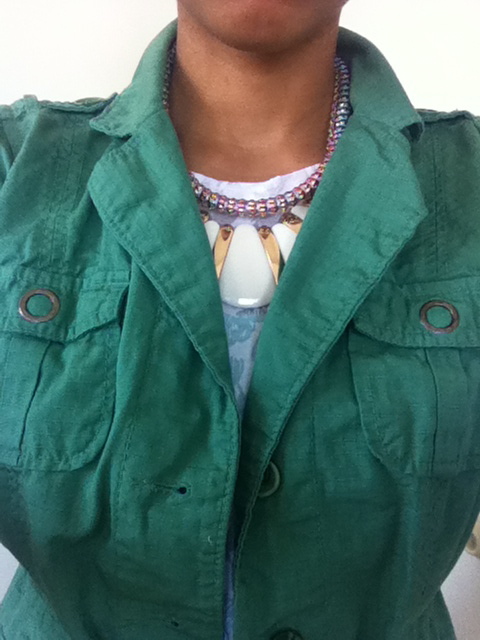 There is something so fun about being able to layer up your favorite pieces to create a knockout, statement necklace. Recently I bought this cream/gold necklace and have been thinking of different ways I could wear it. One thing I learned in layering necklaces is to stick to a similar pallet and to play with length. Since the Geo-styled necklace is already a chunky statement on its own, I wanted to add a bit more color to the mix. So I looked through my collection of jewels and found this multi-colored beaut. A while back I purchased this multi-colored necklace from Forever21 and wore it once, maybe twice. I just felt like it was pretty, but not a big enough statement. Once I paired it with my newest necklace, I knew it was a match made in necklace layering heaven! The green, pink, and purple thread of the choker popped against the crisp cream, enhancing the already popping gold on both. It was a pairing that needed to be put on display for all to see so I chose to match it up with one of my favorite thrift finds. 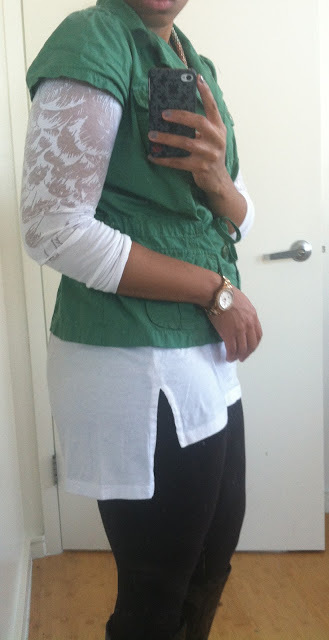 You may recall seeing this vest (with sleeves) in my last Thrift-Ten Fix. I have to admit, this thing is such a staple in my closet. I have practically worn this every week and if I could would probably wear it everyday. It is great for layering as seen in my outfit of the day. Keeping the rest of the outfit simple so the necklace would be the star, I decided to wear my oh so loved long sleeved T-shirt from the BCBG outlet store by my house. This t-shirt is so fun and gets A LOT of use. I love the details of the high in the front, low in the back hem and the sheer "feathering" along the top half of the sleeves and chest is outright haute! Just make sure to wear a camisole under it or the A-Hem, ladies will be waving hi! To add a bit more texture, I threw on my faux leather leggings c/o YummieLife and my old boots from Target (which I bought on clearance!). 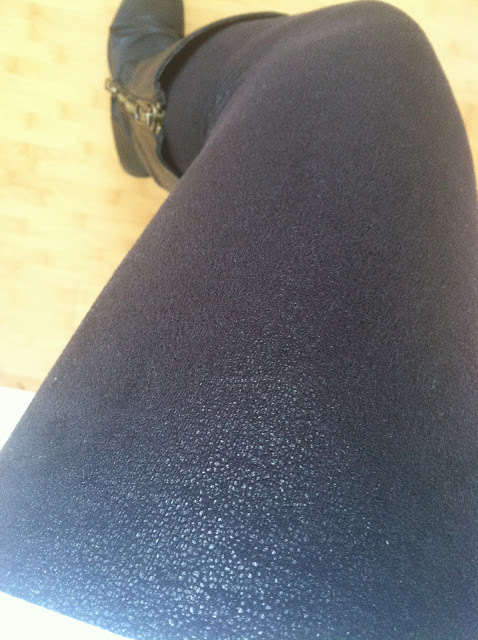 They are by far the best leggings I have ever had and the faux leather look takes them from ordinary to extraordinary. I think layering is my new favorite way to wear my necklaces. It's an easy way to make a statement out of the quieter pieces in your jewelry box. How would you style your layered necklaces?